Laura is thrown into turmoil when she learns that an old flame is coming to stay with her and her husband for the night. 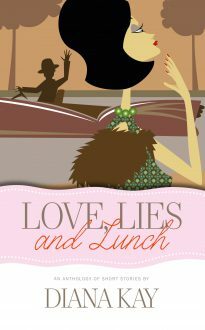 Patsy dares to lunch alone in a smart restaurant, where she finds herself humiliated by a group of rich diners. Lizzie and Lionel play a trick on their lovelorn cousin which will have unimagined consequences, while Ginny, about to marry into the county set, is haunted by a guilty secret that could wreck everything. This varied, imaginative and beautifully-told collection of short stories deals with love and marriage, deceit and disappointment, vanity and jealousy, spite, cruelty, revenge and redemption, and many of them are also very funny. The author is better known to her many blog fans as Delia Despair.